Bulletproof Celadrin Review – Is This Product Safe To Use? 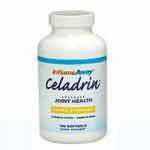 Celadrin has been described as a natural formula blended from fatty acid carbons. According to the manufacturers, it has been subjected to various clinical trials to establish and prove its effectiveness to improve joint pain and reduce muscle stiffness. Is Bulletproof Celadrin a Scam? The producers claim that the tests they conducted on the product showed that this product can increase flexibility and mobility in joints. For the record, the studies done on this product have been published in the Journal of Rheumatology. Celadrin is sold in both topical and oral form making it very ideal for different customers. 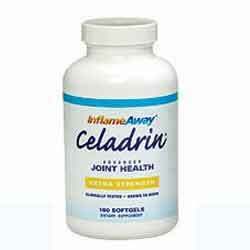 Depending on how you like your joint product, you will get Celadrin in that form. What is the Company Behind Bulletproof Celadrin? Celadrin is a patented product that has been used as the basis of many other products used in the rehabilitation of joint pains. The joint relief product has attracted several celebrity endorsements although we could not verify whether they were sponsored endorsements or not. The producers claim to have exhaustively researched the product and thoroughly tested the product. In support of their claims, they have provided several clinical studies publications on the website. They claim that the numerous studies revealed that the product is six times more powerful than the commonly used Glucosamine and Chondroitin combo. Celadrin is a registered trademark. The Trademark information points out that Imagenetrix Corporation is the likely owner of the product. This is a California based company that is reputable for its use of science and research to provide solutions. What are the Ingredients Used in Bulletproof Celadrin? Celadrin is primarily made of products that contain cetylated esterified oils. These are almost structural similar to the oils found in fish but research suggests that they are more effective as compared to the fish ones. The oils operate from a cellular level leaving an impact on the membranes comprising of the joint. This generally achieves lubrication, by providing oil to the joints. This is the reason why the producers claim that this product reduces friction between the joints allowing improved motion and ease of movement. Cetylated esterified have also shown to contain anti-inflammation properties and thus places an important role in reducing joint pain and promoting cell repair. When used repeatedly, this joint pain supplement will help promote overall body health and boost the immune system. What are the Pros of Bulletproof Celadrin? A lot of research has been conducted on the product. The website is informative with publication on the clinical trial data. What are the Cons of Bulletproof Celadrin? For the oral Celadrin, the recommended dosage is two soft-gels per day. They could be taken as one serving or divided into two separate servings. This means that you can take one in the morning and another in the evening. For the topical Celadrin, you should clean the area with warm water and massage the area for 1-2 minutes for not more than six times daily. It is a product that has been created after numerous researches. The product was so successful that the producers started licensing it to be used by other brands in the treatment of joint pain. It is a legitimate product by a reputable company. all the same, it may take longer than advertised to work but this doesn’t necessarily make it a scam. Celadrin has been proven safe and effective for people suffering from moderate joint pain. It lacks critical joint care minerals and vitamins and thus it cannot be relied upon when you want a holistic and long-lasting protection against joint ache. If you are looking for something to handle your severe/acute joint ache, you may want to explore more of the joint pain relief medicines we have featured.